Two members of the laboratory of natural hazards of the Institute of Geography, V.P. Blagovechshenskiy and V.V. 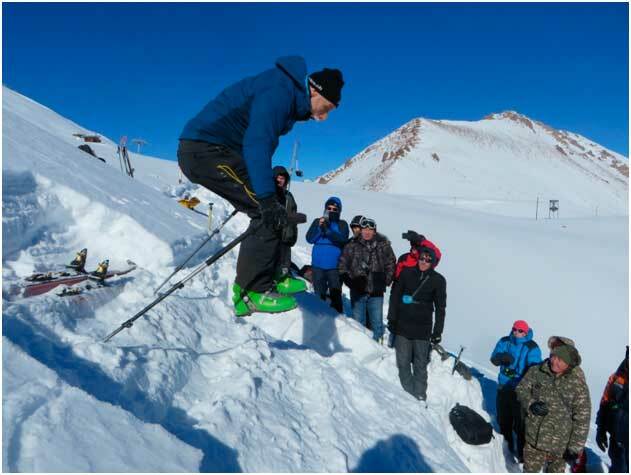 Zhdanov, participated in the Training on risk assessment and forecasting avalanches. 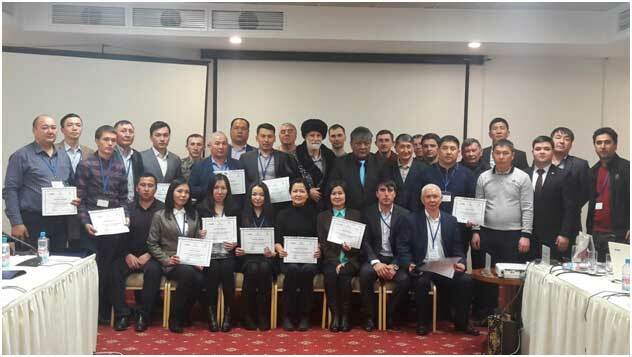 The training was held on January 22-31, 2019 in Almaty as part of the “Project to strengthen the early warning system of hazardous events in the mountainous regions of Central Asia”, which is funded by the World Bank. 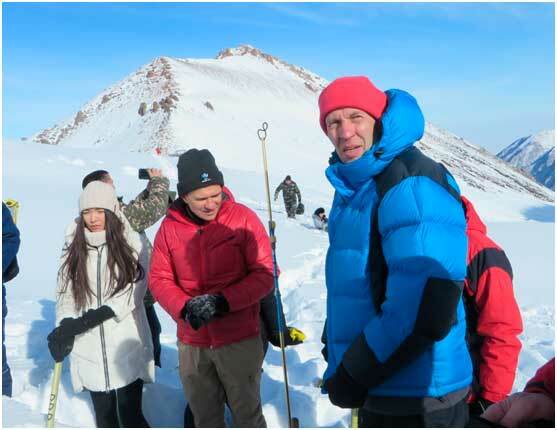 The training was conducted in order to train specialists of Central Asian avalanche services in modern methods and techniques for observing snow cover and avalanches, assessing, forecasting and mapping avalanche danger, and organizing protective measures. The training was organized by Kazgidromet and Kazselezaschita. An expert from the Swiss snow and avalanche research institute Mark Schaer was invited to conduct the training. 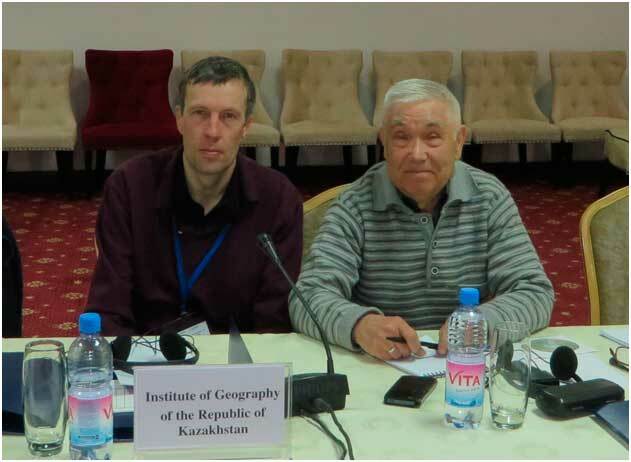 The training was attended by 35 people, including 15 people from Kazselezaschita, 2 people from the Institute of Geography, 7 people from Kazgidromet and 2 people each from Hydromets of Kyrgyzstan, Uzbekistan, Tajikistan and Turkmenistan. Five days were devoted to theoretical studies in the form of lectures, presentations and discussions. For four days, practical training was conducted with trips to the ski resorts "Shymbulak" and "Akbulak". Transport for mountain trips was provided by Kazselezaschita. • Experience of protection from avalanches in Switzerland. • Safety when working in the mountains. • Testing snow cover for stability. • International avalanche hazard scale. • Engineering methods of protection against avalanches. • Simulation of snow cover and avalanches. • Avalanche and avalanche risk. The classes were held at a very high level and proved to be very effective for the professional development of our specialists. The lessons on testing the stability of snow cover on the ground were especially interesting. These methods are not used in the practice of snow avalanche services in the Central Asia countries. The experience of assessing the degree of avalanche danger on an international 5-point scale and organizing public notification in the form of Avalanche bulletins were also of interest. This experience should be used in the work of our emergency services of the Central Asia countries. After the training, all students received confirming certificates.